Thank you to everyone who came along to the NCWA Christmas lunch. The lunch was very well supported with over fifty members and friends in attendance. 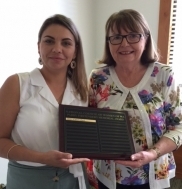 It was terrific to have Senator the Hon Linda Reynolds in attendance and as the guest speaker. Linda spoke about not only her Ministerial responsibilities but the recent passing of the Modern Slavery Act 2018 which heralds a new statutory modern slavery reporting requirement for larger companies operating in Australia.Reporting obligations relate to the steps taken to respond to the risk of modern slavery and supply chains of the reporting entity and its controlled entities. 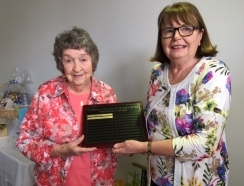 At the lunch the Paddy Firstenberg Memorial Award was presented to Caris Collard and Maureen Walkemeyer received to the 2018 President's Award for her service to NCWWA. Congratulations to both ladies. Very well done! 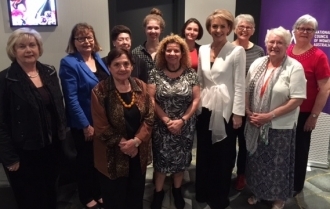 2018 at the QT Hotel inCanberra. and industry specialists. The organising team is to be congratulated for their work in this regard. attended the dinner evening where Lady Cosgrove presented the NCWA awards to inagural winners. 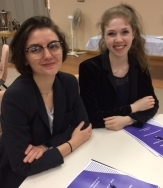 An exciting presence was the eighteen National Council of YOUNG Women from all over Australia. Twelve resolutons were approved for submission to the Federal Parliament. and substance for all NCW councils to consider.